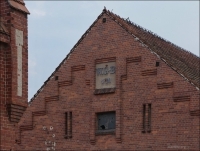 2017 06 18 004 Lodz ul Ksiedza Biskupa Wincentego Tymienieckiego Fabryka Karola Scheiblera3 viewsThe Scheiblers cotton factory building. The 207 meters long spinning mill building made of reinforced concrete was constructed in 1872. In the weaving mill 70 thousand spindles were installed! There are 60 registered users. The newest registered user is Biała. In total there are 18 visitors online: 0 registered users and 18 guests. Most users ever online: 202 on 10/04/17 at 20:31. Registered users who have been online in the past 10 minutes: .